SWOT Analysis is all about having a comprehensive knowledge of a particular domain. In this case, we are going to discuss SWOT Analysis of a Blogger. The term SWOT stands for Strengths, Weaknesses, Opportunities, and Threats about a subject. This analysis can be carried out for a product, service, industry or even a person. 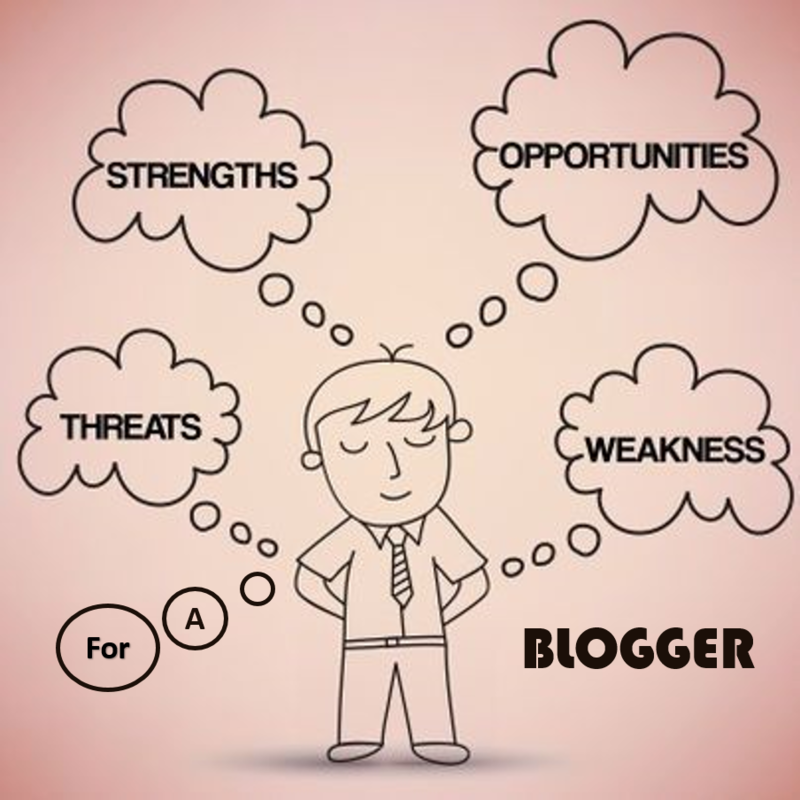 In the case of a blogger, there are several areas to be covered to analyze and help them make a successful career. A plethora of blogging tools available in the market. The positive attitude of the blogger. Ability to capture, learn and adapt to the new techniques. Abilities to generate new ideas to grab immediate attention of the readers. No knowledge about the basic HTML codes. Creating content that does not connect with the readers. Considering blogging to earn only money. Skills to work as a guest blogger. Co-operative with the other bloggers. Skills to reply the reader’s questions. Needs a lot of time and knowledge. It is difficult to pull and retain readers consistently. There is a lot of bargaining in the blogging industry. Every day new bloggers enter into the industry making the competition fierce. Blogging works differently for different people. For some, it is just an expression of their thoughts and experiences, while for others, it can be a business growth opportunity. This all depends upon the attitude of the blogger. Moreover, today industries, both big and small are using blogging as one of the prominent marketing technique. It is therefore critical to analyze the importance of blogging and to identify the gaps to accelerate in this domain. The SWOT analysis above gives a comprehensive overview of blogging and can help bloggers to uncover any areas of improvement.